"The premier location to experience VR, in an arcade setting, on the planet!" Now Booking For Christmas Parties! This year, treat your staff to an Office Party that is Out Of This World! Take them to worlds that they have never experienced before with mind-bending interactions and immersive visuals that make them feel like they're on vacation. What a great deal, right? ONLY $303.84* * plus TAX. Includes 16 VR Stations for one hour. 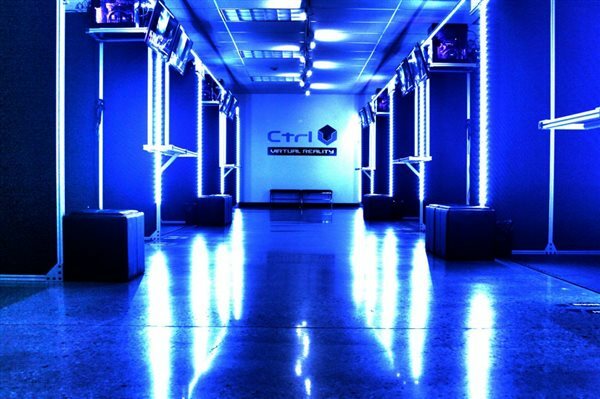 Ctrl V is North America’s first virtual reality arcade. We specialize in providing an incredible and unparalleled experience to all of our clients by ensuring that their first, and each recurring, encounter in virtual reality is of the highest quality. We focus on making our facilities welcoming, safe, and awe-inspiring.